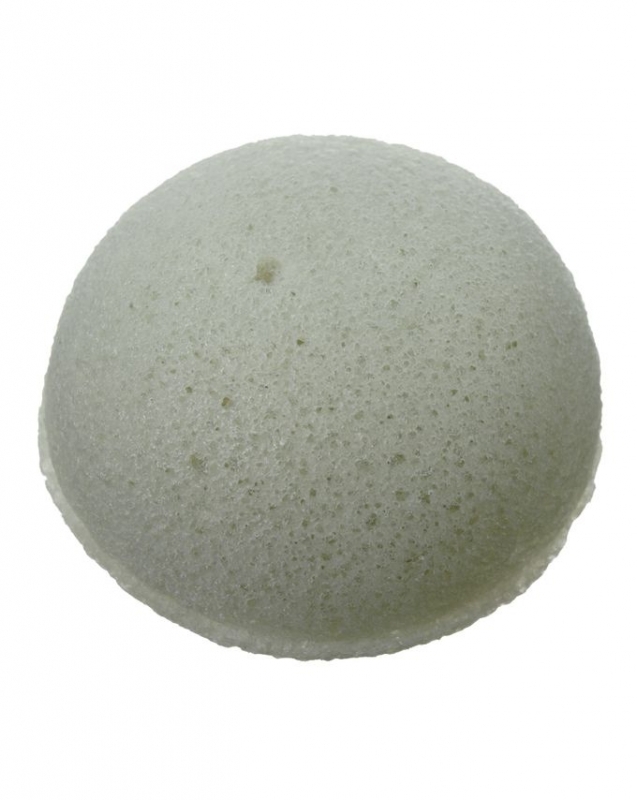 The unique, net-like structure of the Konjac Sponge gently massages the skin to stimulate blood flow & cell turnover, while French Green Clay works to minimise breakouts and alleviate complexion congestion. Your skin will feel beautifully clean without any tightness and gradually become clearer, brighter and less spot-prone. What's more, each sponge is 100% natural, biodegradable and made from a sustainable source so you're saving your skin and the planet! Pairing the gentle cleansing and exfoliating properties of the Konjac Sponge (made from natural plant fibre) with French Green Clay helps draw out impurities and absorb excess oil to leave your skin soft, smooth and spotlessly clean. Ideal for normal to oily skin, the clay is packed full of minerals to nourish your complexion whilst mopping up every last trace of dirt, oil and bacteria. Pores will be purged and blemishes banished, leaving your skin looking smoother, clearer and more refined. 100% Konjac vegetable fibre with added French Green Clay.